I arrived this afternoon in Orlando Florida for the WKA 2012 World Championship. After all this training, running, weight cutting and preparation, it's hard to believe that the time has finally come! lol in a good way of course. I'm really excited to be here. The weigh in went really well. I had to make 132lbs. I weighed in at 59.2kg, which is a whopping 130.2 lbs Not bad at all. Actually this was the easiest weight cut yet and I have Dr. Fuhrman to thank for it. 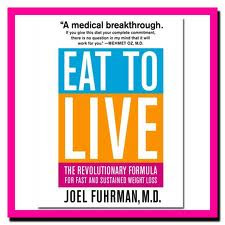 I read his book, "Eat to Live", about eating healthy wholesome foods and voila, I made weight easy peazy, one two three. Check out his book. Be healthy, be strong and feel your best. I need this book bad!!!! !